The BETAMI trial - "BEta-Blocker Treatment after Acute Myocardial Infarction in revascularized patients with preserved left ventricular systolic function" - has been funded with 15 mill NOK from Klinbeforsk - the national "Clinical therapy research in the specialist health services" program. 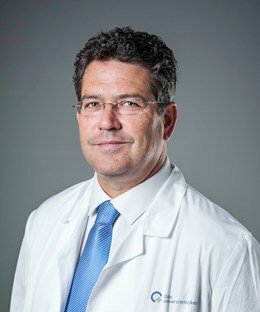 The trial is led by Dan Atar, head of research at the Division of Medicine and leader of the "Ischemic Heart Disease" group. In the 80's and 90's it was considered important to administer beta blockers to avoid future cardiac deaths and new heart attacks. "But huge progress has been made, among other things, the blockage of blood vessels is very effective. We do not know if beta-blocking is still necessary", says Atar, who has recently been interviewed by "Dagens Medisin". Many patients experience side effects of beta blockade treatment, such as fatigue and cold hands. - An example of side effects is that beta blockers slow down the pulse increase. After a heart attack, some patients may perform a load test to show that heart function is still good. But when the patient uses beta blocker, he feels quickly exhausted, says Atar. The clinical environment in Norway has shown great commitment to investigate the issue, according to Atar. "We will also apply for more funding, including from the Norwegian Research Council. We can not expect pharmaceutical companies to sponsor such a study, where we want to remove a drug", says Atar jokingly. In order to meet the needs for large, national clinical trials of high quality with predictable funding, the Norwegian Ministry of Health and Care Services in 2016 initiated a joint effort to support clinical multicentre studies in Norwegian hospitals. The initiative has been organised as a research programme - Clinical Therapy Research in the Specialist Health Services (KLINBEFORSK) – and is to be aligned with needs identified by patients, the service, policy makers and researchers.